This Sports Hall Pentathlon kit provides everything you need for an indoor pentathlon. 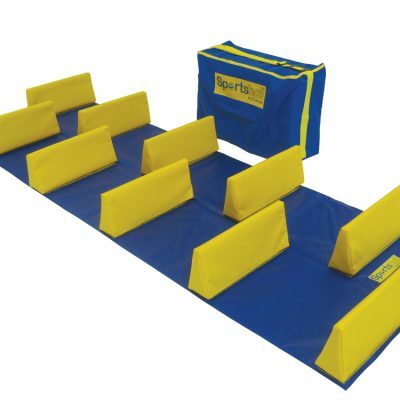 Speed Bounce Mat – Yellow Wedge, Intermediate Metromat, Balance Beam, Balance Beam Mat, Carrying Bag, 2 Eveque Stopwatches, 3 Eveque Whistles & Lanyards, Sportshall Handbook, Sportshall DVD, Pacesetter Book, 2 Sportshall Wallcharts, Activity Cards, Eveque Ringbinder, Pack of 50 Certificates, Pack of 50 Personal Score Cards, Hi-Stepper (inc bag), Blue Plastic Cone – lightweight (23cm), Green Plastic Cone – lightweight (23cm), Red Plastic Cone – lightweight (23cm), Yellow Plastic Cone – lightweight (23cm), Target Throw. 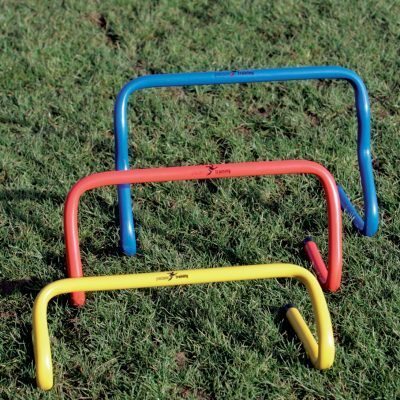 Athletics Direct is a UK supplier of school sports equipment.